When I attended the launch of Bua na Cainte last week, they also had other books available including Maths Time for 1st – 6th class. 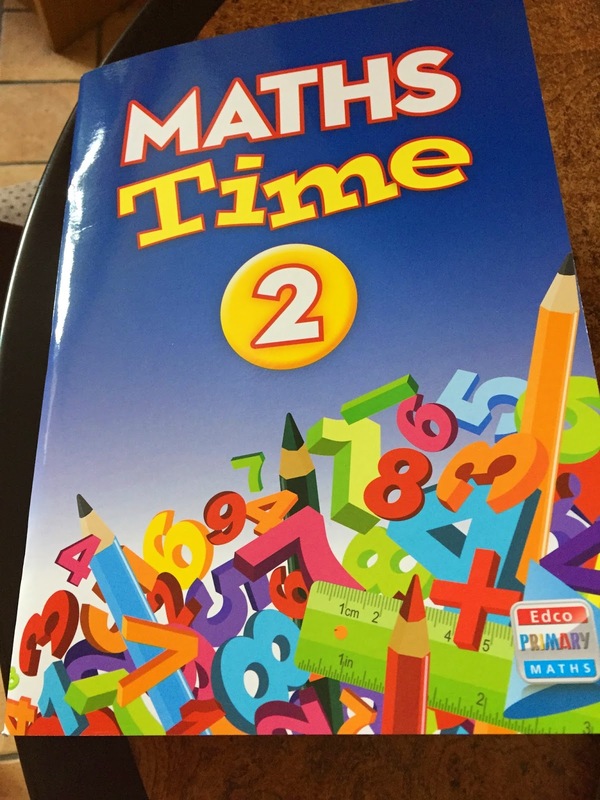 This book could be used in addition to the main maths book. It is based around mental maths. The book is colourful and child-friendly. This is the second class book. Each day is differentiated into 3 sections; blue, green and red. Blue has questions which all children should be able to answer, green is a little bit more difficult so most children should be able to answer and red is a bit trickier. Words of the week section is helpful to expand children’s maths vocabulary. There is also a challenge section which provides extra work for early- finishers. At the top of the page is a number line with patterns and sequences. Overall its a nice book which is appealing to children however it shouldn’t be used as a substitute for mental maths which should be done orally for at least 10 minutes a day.